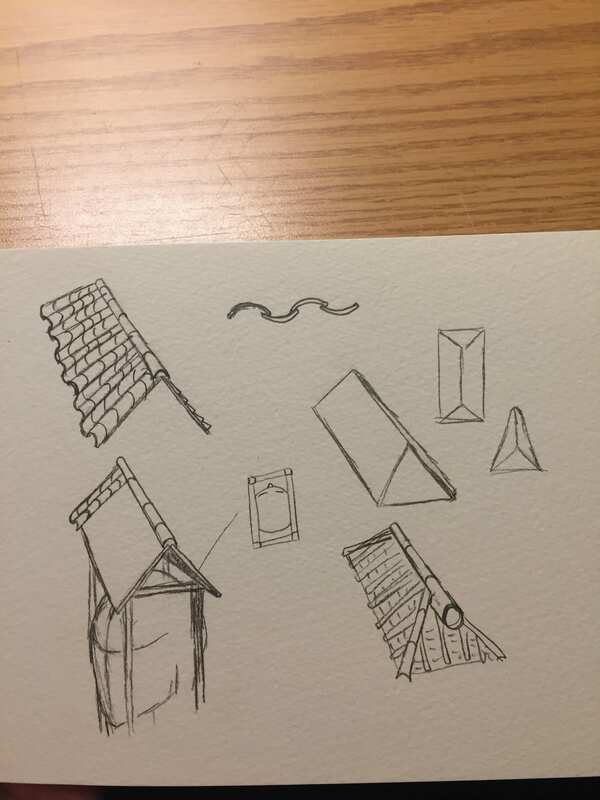 The finalized design of my second concept–the pagoda–consists of a person sporting the appearance of the tile roofs on the head and torso parts and the Chinese banners for the lower body, transforming into literally a human shelter that shows the interaction of different cultures. The wearer wears a headset, a rectangular frame, with the roof on top, and the “pillars” extend down to the shoulders where they meet an intersection. From it, two additional roofs extend along the shoulders. A new addition were 1-2 extra roofs on each of the arms, so that when she extends them, the arm pieces will connect to the shoulder pieces, creating a wall-like look. 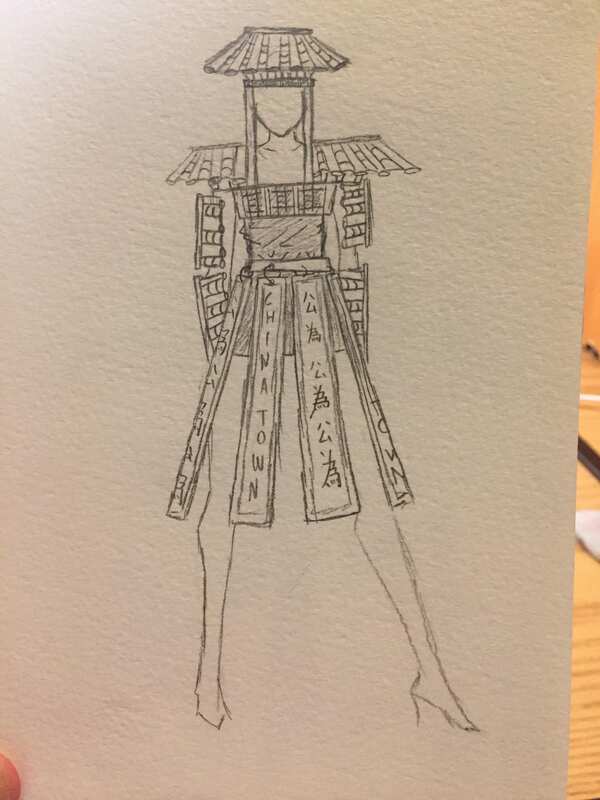 For the lower part, a series of wooden/foam boards will hang on strings/chains in a Chinese-banner-style, each either saying “Chinatown” or “”公為.” Underneath all this will be a simple short dress. My main inspiration for this concept were some of the buildings in Chinatown that I observed to have the traditional Chinese roofs that assimilates into the Western architecture but at the same time clashes with the different culture and style. 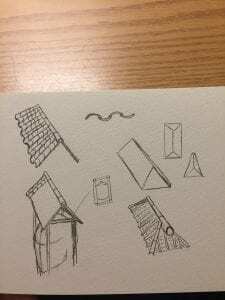 As I researched more about the roof tiles, I found a photo of the entrance gate to Chinatown in Chicago, and its 3-heights-structure (low, high, low) reminded me of the shoulders and head, and I linked it back to my first idea of shoulder pieces as roof pieces. 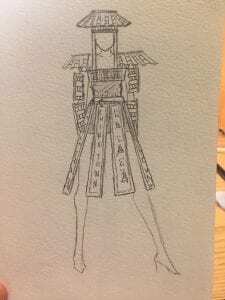 To this, I had the idea–after much discussion with Aaron and Stacy–to connect the arm and shoulder pieces. For the banners, I saw some at Chinatown hanging from the ceiling or on the walls/pillars, and by using both English and Chinese, I thought that part would be able to show culture class, interaction, and even assimilation.